So the week of VMworld has passed, and I’ve had a great week again. But looking back at the week, it has been more about the networking and talking to other costumers, about their experiences with using VMWare products, than it has been about huge announcements from VMware. And that kinda feels weird. 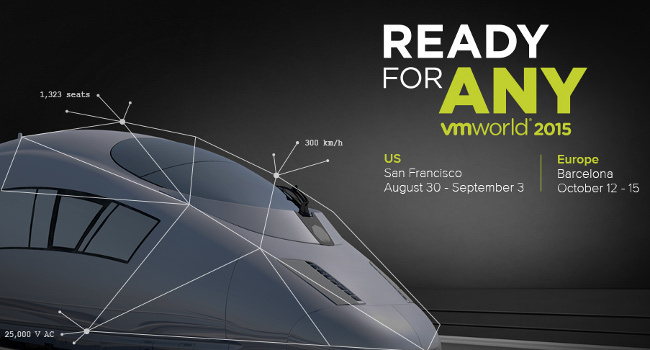 We knew already that vSphere 6.0 U1 would be after VMWorld, but I would still have expected something big. But that wasn’t to be, and that kinda leaves me with a weird feeling. The partnering with Microsoft in the project called A2, seems to usher in a new more friendly alliance with Microsoft. Which we as costumers really would look forward to. Especially if this moves beyond just A2, but into SQL, Exchange and others. One of the few new things that was announced was VSAN Stretched clusters, where you know can geographically disperse your data centers with VSAN handling the Active-Active replication of data. The former 3 node cluster needed can now be a 2 node cluster with a 3rd witness node, that doesn’t require a license. All in all it looks pretty much like a VPLEX solution, in software.Looks very nice and I can see the potential use case in Robo or segmentation scenarios. VSAN now also comes in an all Flash variation, that looks to perform very nicely. Be aware however that all flash requires an additional license. I sat in on a PernixData session that Frank Denneman held about FVP and their newest product Architecht. Architecht uses PernixData’s kernel module to extract all manner of statistics about your storage. Can show you the different block sizes that your VM’s use, and even tell you which VM’s have misaligned storage (less than 4k blocks). This gives you all the stats you ever asked the application owners about. How many IOPS does your application require, what block size do you need etc. Very nice piece of software, that I can’t wait to check out when I get home again. Thank you very much vCommunity for making this a very nice VMworld again. This one was my 6th. ← VMworld T-shirts Giveback – What to do!